Piaggio India has discontinued the Vespa 946 Emporio Armani edition scooter. It was launched here in November 2016, at a whopping price tag of 12.04 lakh rupees. It was imported into India as a completely built unit, one reason for the steep cost. Nobody bought it, but the Italian two wheeler major says that’s not the reason why it’s been pulled off the market. The reason for discontinuation, according to Piaggio, is because the contract with Emporio Armani has come to an end. The 946 was a highly stylized, flagship edition of the Vespa range sold here, and it was co-branded by fashion label Emporio Armani. The scooter was meant to be a brand builder for Piaggio in India, meant to highlight exclusivity and fashion. The scooter featured a 125 cc four stroke single cylinder fuel injected engine, making 11.4 Bhp-9.6 Nm. This is not too dissimilar to the outputs that regular Vespa 125s and 150s in India make. What made the 946 really stand out was the retro-styling. From the floating seat and the LED headlamp to the paint finish and the range of bespoke accessories, everything about this scooter screamed premium-ness. It also featured advanced safety options – for a scooter in India – in the form of tracti0n control, ABS and anti-slip regulation. The scooter had disc brakes on both wheels and was touted to be the most advanced scooter ever built by Piaggio. 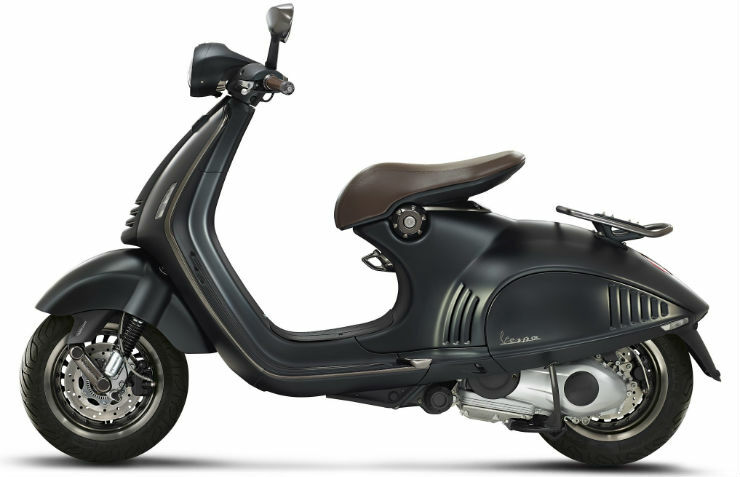 All said and done, the Vespa 946 is out of India, without a single example being sold here, which is a surprise considering that a lot of rich Indians actually buy pricey stuff that ‘others don’t have’. Meanwhile, there are good discounts on Piaggio’s existing range of Vespa and Aprilia scooters sold here. Accessories worth 4,000-6,000 rupees are free on the Vespa and Aprilia SR150 scooters sold here. Discounts vary on different models. This discount is meant to spur sales during the festive season. 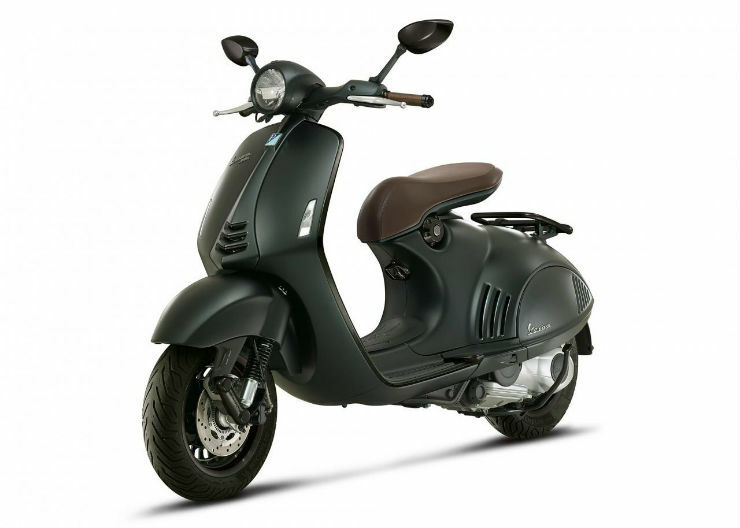 The Vespa is available in VLX125, SLX125, VLX150, SLX150 and Elegante variants. The solitary Aprilia scooter sold in the SR150 model, positioned as a sporty urban scooter with larger wheels and peppy acceleration.